The 1978 constitution introduced the notion of an executive presidency into the constitutional framework in view of the state’s agenda to expedite economic development. The office of the Executive President, with its claiming of broad immunities, was also expected to provide greater protection for minorities in Sri Lanka. Hence the concept of presidential immunity became very much entrenched in the scope and structure of the present Constitution. However, scarcely a decade later, it had become broadly recognized that the concentration of executive powers in one individual along with the immunities attached to the office had proved to be greatly inimical to the constitutional balance of powers. While any person holds office as President, no proceedings shall be instituted to continue against him in any court or tribunal in respect of anything done or omitted to be done by him either in his official or private capacity. The above Article appears to provide absolute immunity to the individual holding the office of President for the duration of his or her tenure. The provisions of Article 35(2), however, explicitly limits immunity to the duration of tenure, as it suspends the running of time during a person’s tenure in office as President for the purpose of determining whether an action against that person is out of time or subject to prescription. Pending actions against a person at the time of assuming office as President would effectively be suspended until the person ceases to hold office. Further, official or private acts or omissions of the President while holding office may be subject to litigation once the President relinquishes his authority under the Constitution. This would seem to be a simple reading of the text of Article 35(1) read with Article 35(2). Some of the matters that sometimes fall under Article 35 of the Constitution may entail functions that must necessarily be performed by persons, other than President himself. These are persons such as the Permanent Secretaries and other functionaries who carry out the orders made by the President. Although these functionaries may be carrying out tasks which would have fallen under the Presidential immunity if the President himself were to perform those tasks, the functionaries themselves are not protected by the aforementioned Presidential immunity. They are unable to claim the benefit of the immunity under Article 35. In this respect, President Immunity is quite unlike the judicial privilege available to a functionary who executes a judicial order in good faith. Reference to this has previously been made. There are three specified instances in which the presidential immunity would not, during the Presidency, apply. First, where the President under Article 44(2) of the Constitution ‘…..assigns to himself any subject or function not assigned to any Minister…..’ proceedings may be instituted against the President, in that capacity regarding matters arising out of that Ministry. However, such proceedings may be instituted against the Attorney-General in his capacity as the Principal Law officer of the State who has a right to appear before the court on behalf of the President. Second, Parliament has a power to move a Resolution alleging that the President is ‘permanently incapable of discharging the functions of his office by reason of physical or mental infirmity or that the President has been guilty of’ one of the offences enumerated in five sub-paragraphs of Article 38(2)(a). This is a process that the Constitution provides for the impeachment of a President. At the hearing before the Supreme Court ‘…….. The President shall have the right to appear and to be heard in person or by an Attorney-at-law…..’ Third, the President has no immunity from proceedings where his own election as President is being challenged or any matters pertaining to that election has given rise to any other legal proceedings, including any appeals that may result. Three exceptions mentioned above are the constitutional exceptions to the application of presidential immunity. Aside from these, there might be a procedural exception pertaining to the general application of immunity. Where a person clothed with immunity commences an action as the Plaintiff, or as the Appellant appeals against a judgment rendered against him disregarding his immunity, he is deemed to have entered into the judicial process and then becomes subject to any counterclaims or any other defences that may be raised against him. Needless to say that the President may initiate proceedings to vindicate a personal right of his, that had been infringed by another party. Immunity does not render acts committed, obligations assumed, duties breached, privileges and powers misused in law, a nullity. It merely makes the person clothed with immunity shielded from legal proceedings during the currency of that immunity. During that period, in the classical Holfedian Analysis, others are ‘disabled’ from commencing legal proceedings. Whenever that shield is lost and the person loses that immunity, the person becomes liable to legal proceedings for any and all liabilities incurred during the period in which he had the protection of immunity. Others are thereafter ‘enabled’ to commence proceedings against a former President. Immunity, therefore, is a transient condition which the law provides to a selected group of persons. Cited below are several key cases that deal with the law on presidential immunity briefly. This case concerned the issue of whether the failure of the judges of the Supreme Court and Court of Appeal to take the necessary oaths before the President within the specified time limits under the Sixth Amendment to the Constitution resulted in their ceasing to hold office as judges. A five-judge bench had been constituted to hear a fundamental rights application, but the sitting was adjourned when it came to light that the Justices of the Court had not taken oaths as required by the Sixth Amendment. The State argued that proceedings should be held de novo because the judges had ceased to hold office and had been reappointed afresh, while the petitioner contended that the proceedings should be continued because the judges had not ceased to hold office de jure. One of the preliminary objections the State raised was that the Court was precluded from directly or indirectly calling into question or making a determination on any matter relating to the performance of the official acts of the President by operation of Article 35(1). …..an intention to make acts of the President nonjusticiable cannot be attributed to the makers of the Constitution. Article 35 of the Constitution provides only for the personal immunity of the President during his tenure of office from proceedings in any Court. The President cannot be summoned to Court to justify his action. But this is a far cry from saying that the President’s acts cannot be examined by a Court of Law. Though the President is immune from proceedings in Court a party who invokes the acts of the President in his support will have to bear the burden of demonstrating that such acts of the President are warranted by law; the seal of the President by itself will not be sufficient to discharge that burden. 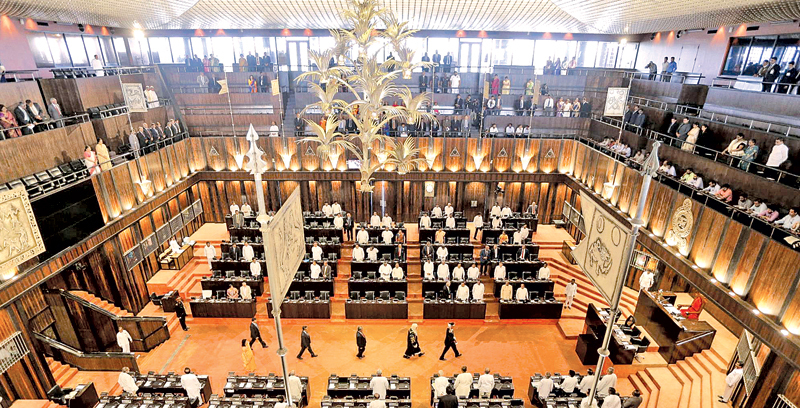 The petitioner, in this case, was a member of the Politbureau of the Janatha Vimukthi Peramuna (JVP), which was a recognized political party, and was elected a member of the District Development Council of Colombo. He functioned in this capacity until the President proscribed the JVP on July 30, 1983, under the provisions of the then Emergency Regulations made under the Public Security Ordinance (PSO). The petitioner claimed that the proscription infringed his fundamental rights under Articles 14(1) (a), (b), ( c), and (d) and Article 12(2) of the Constitution. The petitioner also made the Attorney–General a party to the proceedings. The Supreme Court held that, by Article 35(1) of the Constitution, the President during his tenure of office was absolutely immune from legal proceedings in his official or private capacity. The immunity afforded by Article 35(1) is personal to the President. Citing Justice Ranasinghe in Satyapala v The Attorney–General, it was held that the order of proscription is ‘not an order made by the President on the footing of any assignment of subjects and functions in terms of the provisions of Article 44 of the Constitution. It is not one done as a result of or because of any such assignment of subjects and functions. It is, on the other hand, an order made by the President under and by virtue of a power vested in him by an express provision of law, viz, regulations 68 of the Emergency Regulations, made under the provisions of sections 5 of the Public Security Ordinance. Accordingly, the Court thought it fit to dismiss the application. The period of office of the Central, Uva, North- Central, Western and Sabaragamuwa Provincial Councils came to an end in June 1998. Following the period of nomination and fixing a date for the main poll, the issue of postal ballot papers was fixed for August 4, 1998. However, by telegram dated August 3, 1998, the respective returning officers suspended the postal voting without adducing any reason. The very next day, the President issued a Proclamation under section 2 of the PSO and made an Emergency regulation under section 5 of the PSO, which had the legal effect of cancelling the date of the poll. Thereafter, the Commissioner of Elections took steps to fix a fresh date for the poll. The Supreme Court in a rare decision held that the making of the Proclamation and the Regulations as well as the conduct of the respondents in relation to the five elections, clearly constituted ‘executive action’ and the court would have jurisdiction under Article 126 of the Constitution. It was further held that Article 35 did not oust this jurisdiction as it only prohibited the institution of legal proceedings against the President while in office. It did not exclude judicial review of an impugned act or omission against some other person who did not enjoy immunity from suit but relied on an act done by the President in order to justify his conduct. Importantly, the Court was of the view that it had the power, notwithstanding the ouster clause in section 8 of the PSO, to review the validity of the impugned Regulation. Accordingly, it was opined that the impugned Regulation was not a valid exercise of the power under section 5 of the PSO, as it was not an Emergency Regulation. This case is significant for two reasons. First, the Court was prepared to grant a purposive interpretation to the presidential immunity clause contained in the Constitution. The Court effectively castigated public officials who sought to rely on the concept of presidential immunity to acquire immunity for their own actions. Hence the Court established the principle that even when acting upon or in anticipation of an act of the President, public officials were not immune from suit. This principle is crucial for the purpose of restricting official acts of impunity, since public officials may no longer seek the broad cover of presidential immunity to shield their actions. Second, the Court ignored the application of the ouster clause in section 8 of the PSO. This case concerned a fundamental rights application before the Supreme Court and related to the assault and unlawful arrest of the petitioner by the Police during a public demonstration held in 2001. The background to the incident involved a Presidential Proclamation under Article 70 of the Constitution, which sought to prorogue Parliament. Justice Mark Fernando opined that the proposed Referendum was invalid, as the question submitted to the people was incapable of an intelligible and meaningful answer. It was held that the State had violated the petitioner’s fundamental rights under Articles 11, 13(1) and 14(1) (h) of the Constitution. The Court also dealt with certain other fundamental questions in this case. First, it held that it had the jurisdiction to review the legal aspects of the Referendum, particularly as Parliament, which could question the political aspects of the Referendum, had been prorogued. Second, the Court dealt with the question of presidential immunity, as the President herself had issued the two Proclamations that were under scrutiny. Thus the Court concluded that it had jurisdiction to consider whether the Proclamation and the Referendum proposal were in conformity with the Constitution and the Referendum Act. Accordingly, the Court declared the Proclamation and the Referendum proposal to be invalid. 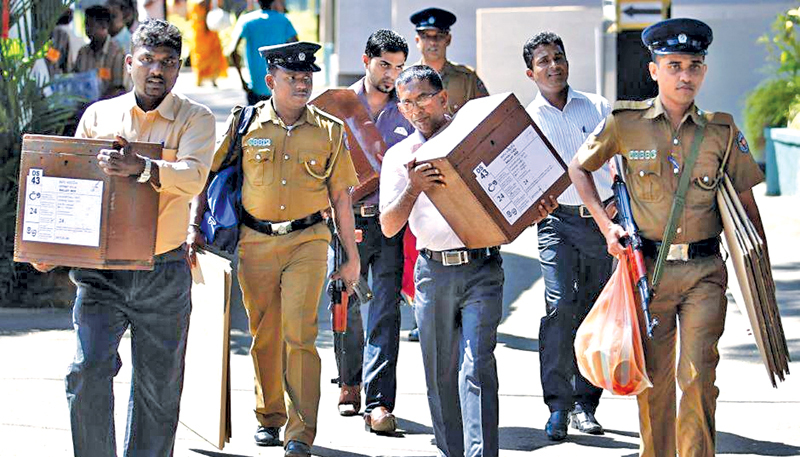 It appears that both presidential immunity and other indemnity provisions within the law contribute significantly towards the culture of impunity in Sri Lanka. The provisions in the present Constitution and statutory law that form the basis for official immunity must be narrowly interpreted to reflect greater consistency with the rule of law. Yet such an approach is wholly contingent on the independence and integrity of the judiciary as well as the competence of individual judges.